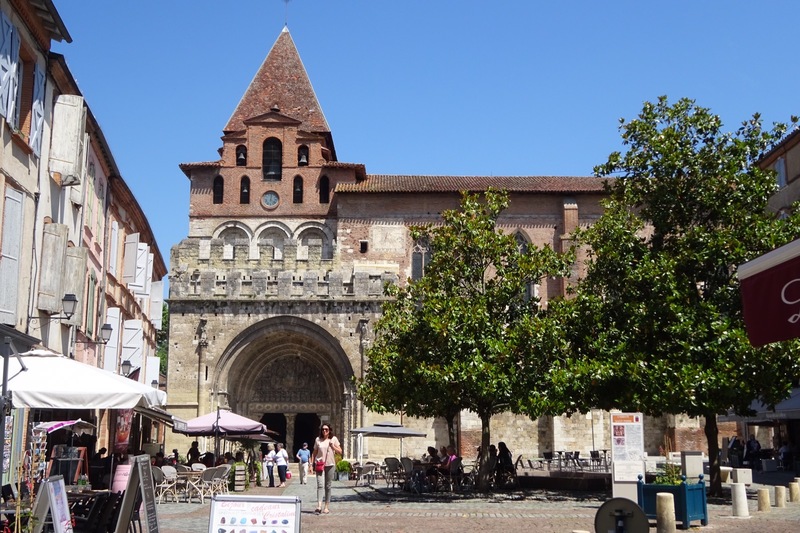 I spent the day here in Moissac, a traditional stopping place on the way to Saint Jacques de Compostelle. Many pilgrims did the same, needing time to dry off after 2 days of heavy rain. And the reason for stopping is to see Saint Peter’s Abbey. 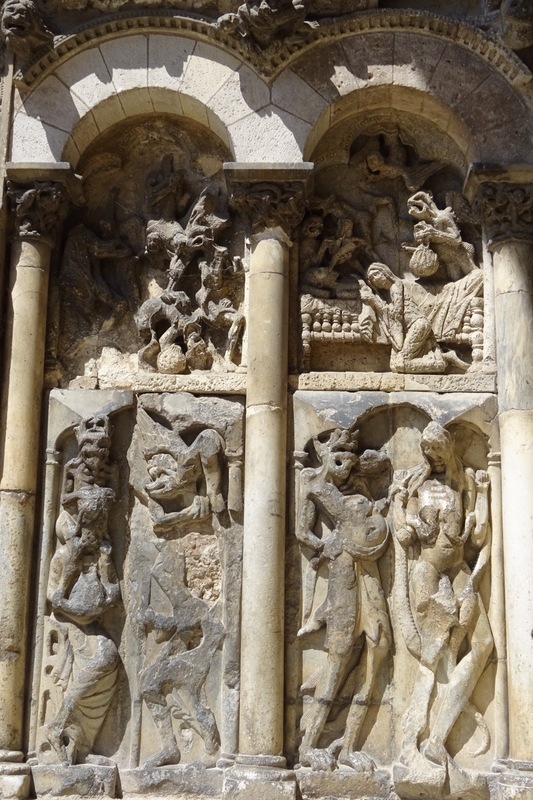 No one knows quite when it was built but it was in full swing in the 11th century to greet the pilgrims. 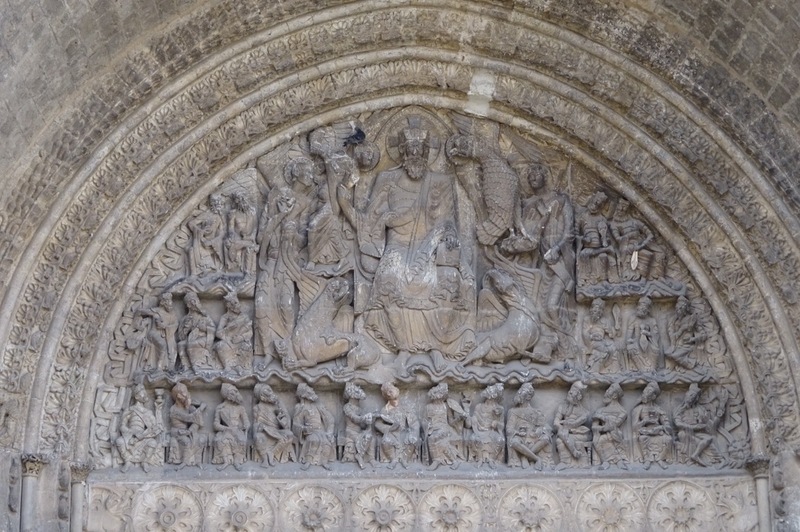 As usual the tympanum (or doorway) is spectacular, depicting St John’s vision of the Apocalypse. Any pilgrim thinking of calling it a day would have been re-charged by the sight of it. 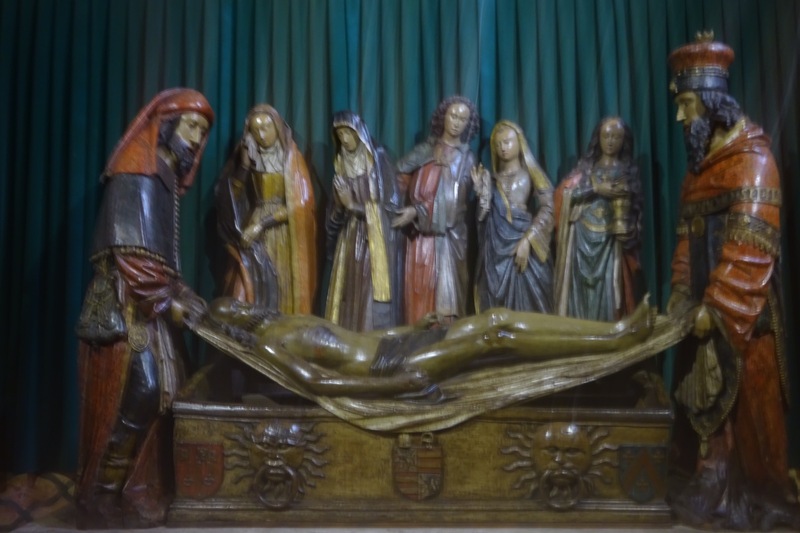 One of the more important monks is said to have fainted when he first saw it. 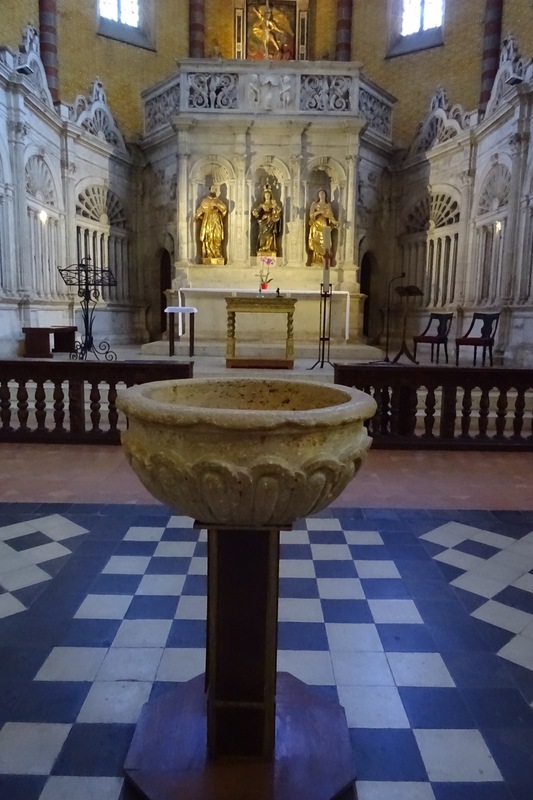 About 100 monks lived in the Abbey in the 12th century and the local women often went to the Abbey to fetch water. 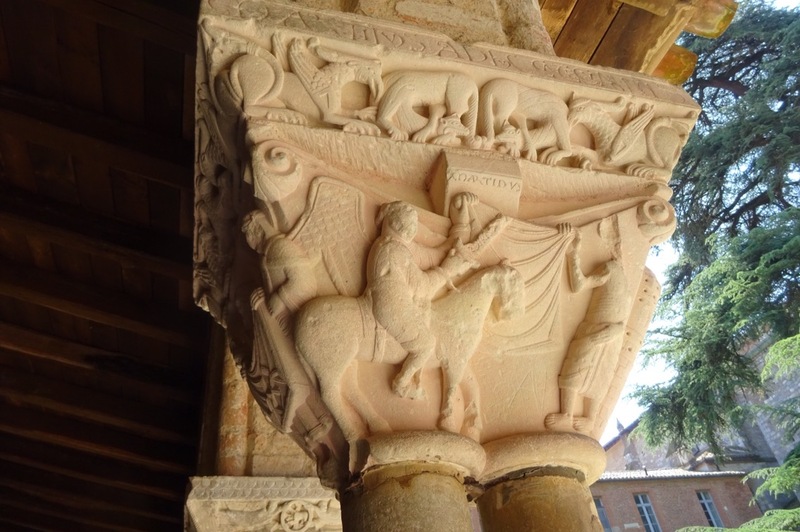 However, it is the Abbey’s cloister which has brought the UNESCO person to Moissac. 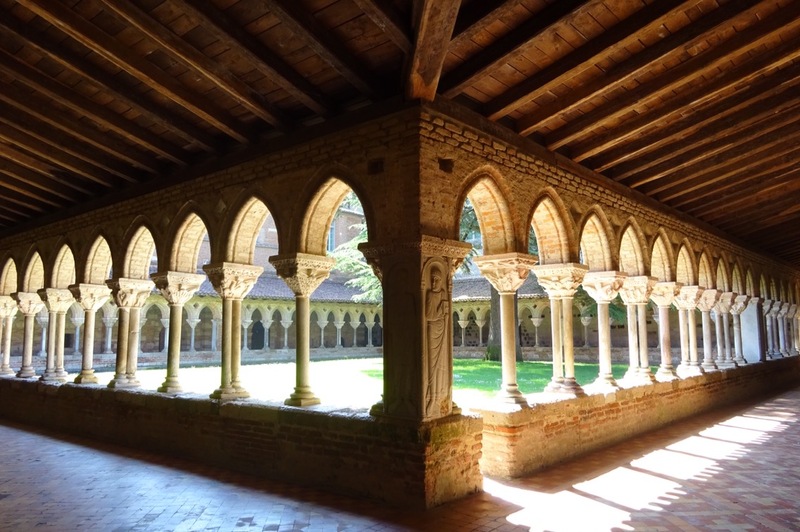 This is the oldest cloister in the world. It encloses a square grass lawn with a tall pine tree and around the sides are chapels and rooms where the monks would pray etc. 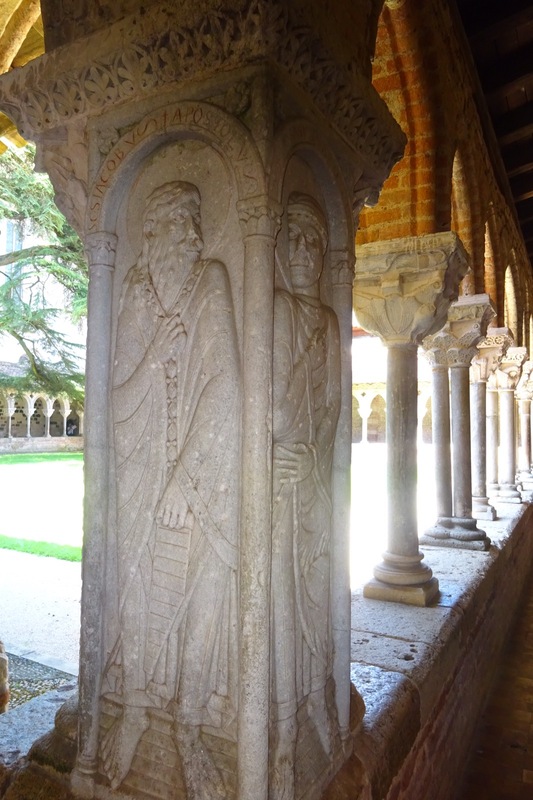 46 columns topped with carved limestone capitals depicting the lives of the saints help concentrate the mind. It is a marvel, you are magically transported back 1000 years to a time of meditation and silence. Except for the train. 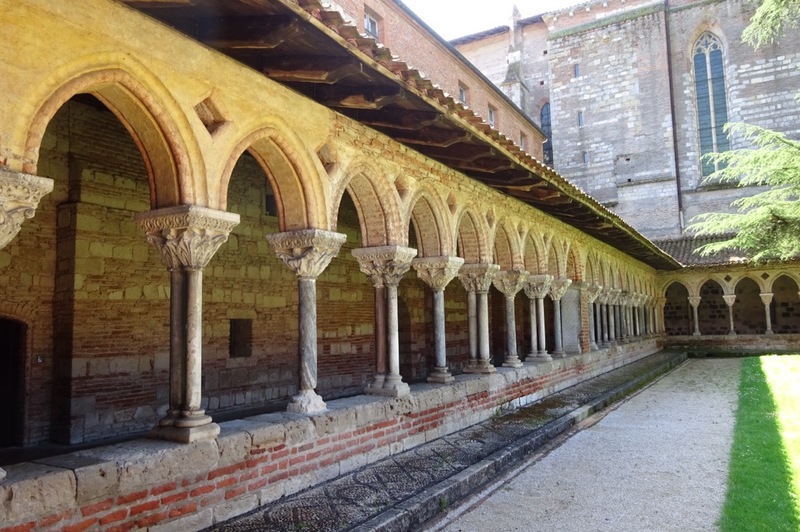 Almost unbelievably, in the 19th century, the French drove the railway straight through the Abbey destroying the refectory and narrowly missing the cloister. Now, every few minutes the silence is shattered by the horns of the approaching train and a TGV thunders past. C introduced me to a fellow German who is walking from her home to Compostela, a distance of 3500 Km. We also met a young American man who is walking from Le Puy to Compostela (only half the distance). I feel like I’ve just popped out for a short stroll along the promenade. During our leisurely lunch in the square of the Abbey church, I noticed a hairdresser which was open. The hairdresser was without any customers (it being lunchtime) so I greeted her and suggested a “numero 5” and she obliged without the ridiculous fanfare one gets at home. I was back at the table for my green tea within 5 minutes. My boots spent the day sitting on the window sill enjoying the sunshine. Also, my hand washed socks and underwear took in the view. All is set fair for tomorrow. A pilgrims welcome at the Abbey. A pin for every pilgrim. 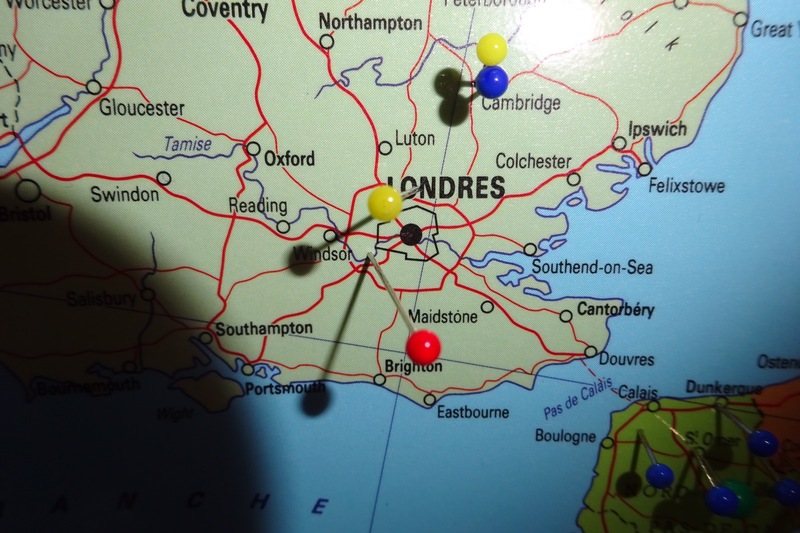 Do the pins in the map forecast the general election result? I doubt it. But it does look that way!